Though actress Sonam Kapoor was trolled for her tweet against the meet ban in Maharashtra but she has got a good support from film fraternity. 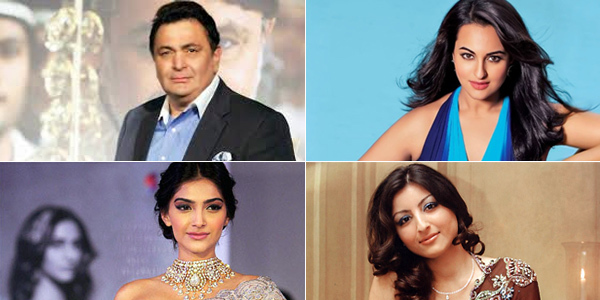 On Wednesday many more Bollywood Celebes tweeted and condemned the government’s decision. It may be noted that earlier Sonam Kapoor blamed the mentality of few intolerant misogynistic running the government as the reason behind India’s snail progress and the nation being placed on the globe as third nation. Supporting her Bollywood diva Sonakshi Sinha has rightly asked the government to first ban ignorance and negligence and then think of changing other things. She has intelligently quizzed the government to first find solutions to the flood affected people of Assam urging the government to focus on priorities of people rather than making a few people happy to increase their vote bank! Sonakshi Sinha has indirectly hit out at the government because every intelligent Indian is aware that the Maharashtra government’s ban against meat is essentially to win over the Jain community, whose pious ‘Paryushan’ festival is round the corner and a sizeable number of Jain Community are BJP loyalist. Eminent actor Rishi Kapoor for the second time in recent time has urged the Indians to ‘wake up’ from such deceives methods that mislead the uneducated Indians. Will the power hungry government ponder on Bollywood actor’s appeal or as usual ignore them. Today they may ignore them but when election times come these politicians will surely listen to each of their demands as they need them for their election rallies!!! Isn’t it?